This Sterling Silver Tiffany style pendant can fit up to two prints with names. 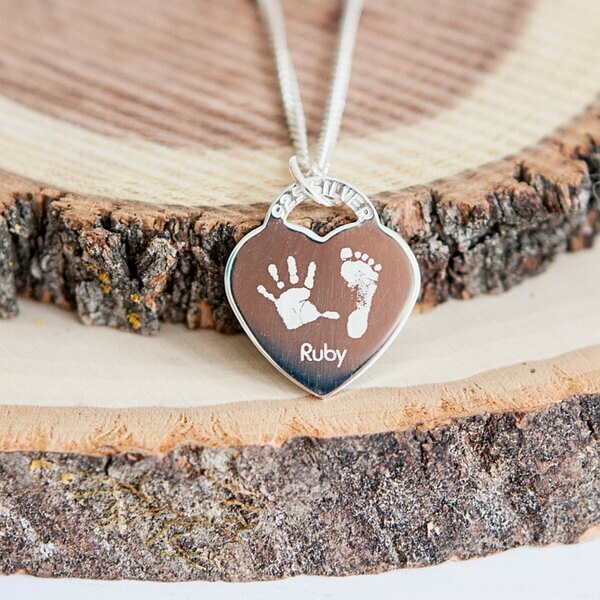 Our beautiful Engraved Handprint Heart Necklace is the perfect way to capture your loved ones prints and keep them close to your heart. This Sterling Silver Tiffany style pendant can fit up to two prints with names. 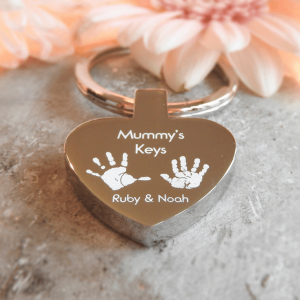 A great way to display both the hand and footprint from your loved one, with a name, or prints from two people. 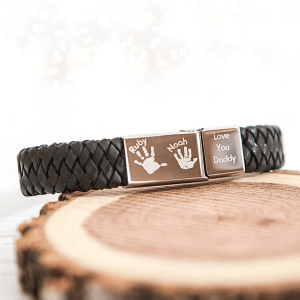 Each with the option of a personalised message on the reverse. 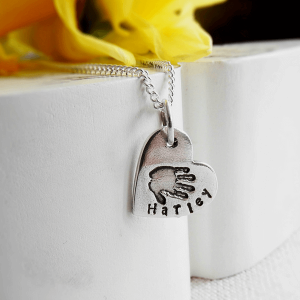 Complete with an elegant curb chain, our Engraved Handprint Heart Necklace is lovely for wearing on special occasions and makes a special keepsake for years to come. Each necklace comes with a choice of chain lengths, tailored perfectly to suit your individual requirements. 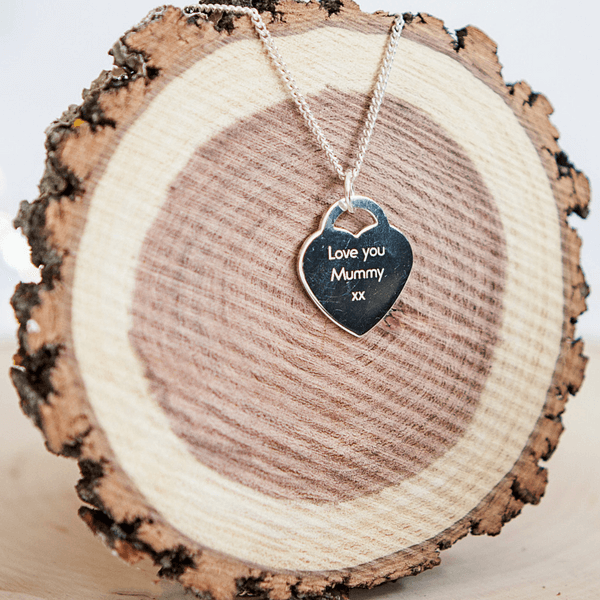 Every necklace is individually designed and engraved in-house, ensuring the finest of details are preserved. I aim to dispatch all orders to you within 14 days from the date we receive your prints back at the studio. 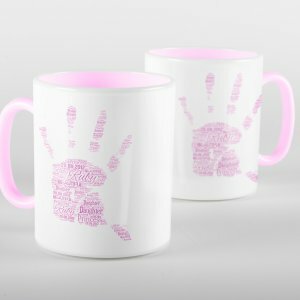 Option 1: One child: Handprint OR footprint with name on front. Optional special message on reverse. 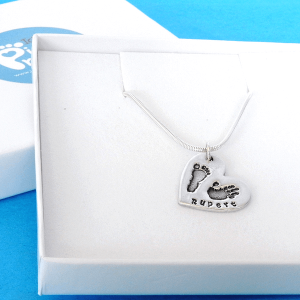 Option 2: One child: Hand AND footprint with name on front. Optional special message on reverse. 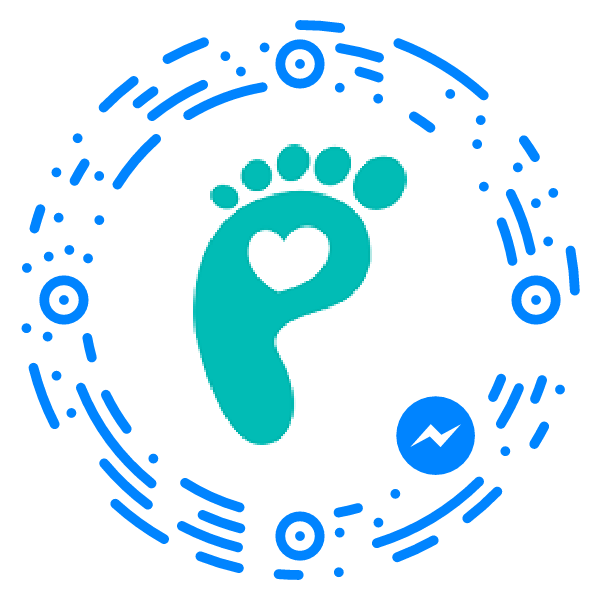 Option 3: Two children: Two hand OR footprints on front with names. Optional special message on reverse.